Famous worldwide Vail Resort is know as North America’s top ski resort, Vail is an extraordinary vacation experience. Spanning seven miles are seven legendary Back Bowls. Under clear blue sky 300 days a year and with more groomed terrain than anywhere on the planet. Mountain Statistics: 350 inches of annual snowfall / 5,289 skiable acres / Vertical Rise: 3,450 ft. / Top elevation 11,570 ft / Base 8,120 ft / Number of Trails 193 /31 Lifts / Longest run 4 miles / 18% beginner, 29% intermediate, 53% expert. Drive Times: I-70 is a direct route into Vail. It’s exactly 100 miles from Denver, and about 130 miles from Denver International Airport. During peak times, I-70 can get very congested and it is not unheard of for a trip from Vail to Denver to take 3 hours or more. Peak: weekend afternoons (2pm-6pm) summer and winter. Enjoy “dining in” with à la Car. We’ll deliver anything from casual to gourmet cuisine fresh and hot to your table—usually within an hour of your call. Our focus on World Tapas and small plates with extensive wine and martini lists; featuring sushi, Mediterranean & Latin Tapas, Vietnamese, Thai, and Chinese cuisines allows us to create a worldly, exotic experience perfect for parties, charity events, or even a quiet evening for two. Cascade Village Market and Cafe at Vail Cascade has all your favorite coffee beverages. We also can provide you with hot breakfast sandwiches, pastries, muffins, and an assorted variety of deli sandwiches, gourmet cheeses, chocolates, and many additional items that you can grab on the go. This AAA Four-Diamond restaurant, known as one of the highest-rated restaurants in Colorado, was acknowledged as the “Best Steak & Chophouse” by Vail Valley in 2006. Chap’s features an innovative menu and a wine list worthy of Wine Spectator’s Award of Excellence. With a stone fireplace emanating warmth and groups of comfortable couches and chairs, it’s hard to imagine a finer setting to celebrate an exciting day of adventure or at the spa. A fresh approach to dining in the Vail Valley, this American Brasserie serves regional cuisine with rustic French overtones. The beauty of the natural environment has inspired the menu and decor, creating a warm ambiance certain to leave a lasting impression. This small, inviting market, located next to Larkspur Restaurant, offers the best of gourmet, boutique food items. Our prepared sandwiches on artisan breads, homeade soups and delicious salads bring customers back time and again. Billy’s Island Grill, in Vail, Colorado, was created by owner Billy Suarez to provide a comfortable and relaxed atmosphere where people can enjoy an excellent dining experience at a reasonable price. Located in the center of the NEW Vail Square and serving hand-tossed NY Style pizza, in addition to a variety of subs, salads, appetizers, hot Italian entrees and more, the Moose offers the perfect locale for a fun and casual dining experience. Life is short, eat more pizza! Since 1992 Garfinkel’s (or Garfs as it is locally known) has been a cornerstone in Lionshead for both tourists and locals alike. Our sunny deck provides the best apres ski, sun catching and overall late sping and summer experience. In the center of Lionshead village, Montauk Seafood Grill prepares costal specialties with contemporary flair. A Wine Spectator award-winning wine list perfectly compliments the menu and the casual yet stylish decor is warm and inviting. Located slopeside, at the Base of the Gondola in the New Vail Square, the Vail Chophouse offers incredible views of Vail Mountain. Serving soups, salads, sandwiches, great steaks and fresh seafood, this restaurant melds a wide variety of delicious entrees with a welcoming staff and a luxurious atmosphere to create a restaurant experience that is beyond compare. Nestled within The Arrabelle at Vail Square, adjoined to Centre V and only steps away from the Eagle Bahn gondola, Tavern on the Square is Vail’s most happening spot for delicious food and drink, before and after you hit the mountain. Take a break from the slopes with a hot drink next to the fire. Offering Starbucks coffee, cappuccino, espresso, hot chocolate and more. A selection of candy bars and baked goods are also available. Bailey’s is located behind the main Eagle’s Nest building on the Southside of the complex in the Adventure Ridge building. Located above Patrol Headquarters at the top of chairs 11 (Northwoods), 4 (Mid-Vail Express), and 5 (High Noon) this is an excellent spot to stop for a quick bite before jumping into the Back Bowls. Take it to the top for a new and improved dining experience at the Bistro Fourteen. Located at the top of the Eagle Bahn Gondola at Eagle’s Nest, this fresh and inspiring restaurant provides fine dining with a casual, family-friendly twist. Open for dinner only. Renowned for the fabulous view, Game Creek features a fusion of an American-French style of cooking with regional and seasonal ingredients. The result is a spectacular menu of contemporary dishes you won’t soon forget, complemented by an extensive wine list and superior service. Call (970) 754-4275 for information & reservations. Located at the bottom of the Riva Bahn Express Lift (Chair 6), in the lower floor of the Golden Peak building. The Golden Peak Grill makes a hearty statement with its food. The Grill has an eclectic mix of food to meet all tastes. All out of one open kitchen! Right outside the door, you’ll find the freestyle Terrain Park and race-courses. Gondoly’s ‘pizza by the slice’ sells a variety of thin crust pizzas by the slice, as well as beverages. You can take a slice onto the deck, or grab it on your way out to the slopes! Mid Vail has grown through various remodels and additions, after starting out as the first mountain restaurant on Vail. Today it consists of 4 restaurants in one central location at the base of Chairs 3 (the Wildwood lift) and 4 (Mid Vail Express) and top of the Vista Bahn chair lift. Mid-Vail is open daily from 10am -3pm. Vail Mountain’s flagship restaurant, Two Elk, is the gateway to China Bowl and Blue Sky Basin. Located near the top of Chairs 14, 17, 21, and 36, Two Elk sits at an elevation of 11,220 feet. How about authentic BBQ two miles high? Located at 11,000 feet at the top of Chairs 3 and 7, you’ll find the great tastes and foods of Wildwood. Open for lunch only. The 10th is Vail’s newest sit down dining experience. The 10th is a ski-in and ski-out fine dining restaurant, overlooking the majestic Gore Range. The cuisine is world-class, with a focus on Modern Alpine classics. Enjoy an upscale meal with exceptional table service, or a quick bite to eat from Express lunch options offered at the bar. 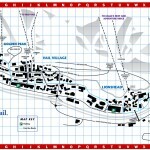 The 10th is located at the base of Look Ma run at Mid-Vail. Eclectic American cuisine at Vail Marriott Mountain Resort & Spa. Opened in 1974, the Alpenrose is an authentic european restaurant & bakery with one of the best apres decks in town. Traditional beers on tap, an exceptional wine list, and live music weekly make the alpenrose a must on any trip to vail, summer or winter. Willkommen! Altitude Billiards & Sports Club voted Vail’s #1 sports bar is the premier place to watch all your favorite events. Featuring a wall of big screen HD TVs you won’t miss any of the action! Altitude Café serves a moderately priced hearty breakfast buffet all winter, helping guests get off to a great start. Avalanche Pub is Vail Marriott’s place to relax after a day of skiing. Warm up by the fireplace and enjoy a cocktail, light hors d’oeuvres, or an irish coffee. Creations from Block 16 are seasonally inspired, using the best ingredients from the Vail Valley and further afield. The Sebastian’s Executive Chef Sergio Howland combines these dishes with unique wines from small producers from all over the globe. Reasonably priced continental cuisine; an extensive wine list; friendly, efficient service; and a casual, pleasant atmosphere are all ingredients at Blu’s Restaurant. Serving continuously from 9 a.m. to 11 p.m., seven days a week, there is something for everyone on the menu. Unlike anything in the mountains, bōl will host a fun twist on classic food, upscale nightlife, and 10 lanes of boutique bowling. Experience the finest cinema combined with innovative cuisine. Housed in the legendary Lodge at Vail hotel, Cucina Rustica offers a contemporary menu that reflects the uniquely American traditions of the Rocky Mountains. Sophisticated regional and ethnic influences are also apparent in the menu. Elway’s is the ideal setting for an occasion. Our menu boasts USDA hand-cut prime steaks, fin fish, crustaceans and much more. And, you’ll always find something new at Elway’s. Our menu changes to match market availability, ensuring you the finest and freshest dining selections. Express Lift Coffee House – just steps away from the Vista Bahn in Vail Village. Serving breakfast, lunch and apres! With views of the pool and Vail Mountain, Fireside Lounge is an intimate spot to enjoy lunch, après-ski snacks and cocktails. In the evening, our sushi chefs offer fresh sashimi, nigiri and specialty rolls. After a long day, the Lounge’s cosy fireplace beckons guests to relax and enjoy the quieter side of Vail nightlife. A favourite Vail restaurant throughout the year, Flame serves lavish breakfast buffets, hearty mountain fare and light healthy options, both indoors – with views of the mountains – and on the heated outdoor terrace. At restaurant Kelly Liken, we are passionate about providing you with a one-of-a-kind dining experience in Vail, CO. We serve a simple, yet exciting Seasonal American Cuisine that relies heavily on locally produced and cultivated products. The Lancelot, Vail’s original Prime Rib House since 1969. Known for our slow roasted Prime Rib, we also serve a variety of USDA Choice steaks. Since 1970, The Left Bank has been the place to wine and dine for discerning locals and visitors. We have cultivated relationships with the finest vintner’s in France and California over the past 38 years in order to bring you selections of the rarest wines available, impeccably stored and aged for your drinking pleasure. Lord Gore Restaurant is renowned for distinctive Vail Village cuisine, fireside dining and mouthwatering views. Located at the base of Vail Mountain, the restaurant features the best dining views in all of Vail Valley. The restaurant’s casual yet elegant atmosphere is a popular destination for romantic dinners, celebrations, everyday dining and family dinners. Executive Chef Richard A. Bailey, C.E.C., brings his culinary vision to this Vail Village restaurant, masterfully creating Lord Gore’s menu to include a variety of delicious items with contemporary twists, including Sushi, Steak, Veal, and Elk Loin. Creative, nightly specials are offered frequently to tempt our restaurant guest’s palates. Contemporary American cuisine with a classic influence. Executive Chef Alain Nicolas sets the stage with an inspired menu, an attentive wait staff orchestrates the evening, and our award-winning wine cellar houses the perfect accompaniment. Vail’s finest gourmet market, at One Willow Bridge Road. In our Bistro, Café and Crêperie, you’ll find the best food from around the world, the finest wines and liquors and exceptional personal service. Noted chef Nobu Matsuhisa in collaboration with Nobuko Kang, created this exquisite establishment where sushi is an art form and the patrons are famous or look as if they should be. Located in the Solaris building in the heart of Vail Village this modern design restaurant is cool and urban to the nth degree. People fresh off the slopes relax and dine on creative delicious cuisine. The Ore House restaurant is Vail Villages landmark steak and seafood restaurant since 1969. We feature a wide variety of steaks, prime rib, ribs, chicken and seafood, including crab. The boys of Pazzo’s – Hutch, Powder Tom, and Mike O – met in the mountains of Vail, skiing and snowboarding by day and cooking pizza by night. In 1990 they opened their first Pazzo’s Pizzeria in Vail, Colorado. Pepi’s restaurant has two dining rooms. The main dining room known for its Continental cuisine and Austrian specialties and The Antler’s Room which serves wild game and gourmet items tableside in an atmosphere of Austrian Gemutlichkeit. Russell’s Restaurant and Bar has been a local’s hot spot for years. We offer a wide range of the highest quality steaks and fresh seafood all served in a relaxed atmosphere. Former Uptown Grill Owners Susan and Joel Fritz, invite you to try the Sapphire Restaurant and Oyster Bar for a unique dining experience featuring award – winning, innovative American cuisine with a flair. Executive Chef and Partner Peter Millette’s culinary creations incorporate classical European and Asian influences that tantalize and spark guests’ taste buds and create one of the area’s “must-do” dining experiences. One of the top restaurants in the Vail Valley. This Vail experience began in 1977 as a small, casual 47 seat restaurant and has since grown considerably in size and reputation. Featuring traditional European cuisine by our Executive Chef in a classic Swiss-style setting, the Swiss Chalet offers the ultimate alpine dining experience. Käse Spätzle (homemade Swiss dumpling topped with cheese and crispy onions) and delicious fondues make the Swiss Chalet a delectable dining experience. Save room for freshly made desserts like Austrian apple strudel and chocolate fondue. Welcome to the home of the Tap Room on Bridge Street, located in the heart of the Vail Village. Around the corner from the base of the Vista Bahn Lift, the Tap Room is the destination spot for Apres Ski, sports and Vail’s hottest nightlife. Terra Bistro is an up-scale urban bistro with a relaxed atmosphere. Our fresh seasonal menu focuses on using local produce, free-range meats, and fresh seafood and boasts such accolades as the Dirona award, Wine Spectator’s award of excellence. A real taste of Colorado awaits you in the casual and lively atmosphere of Bully Ranch. A local favorite since 1986, the Bully specializes in the finest cuts of prime aged beef and barbecue ribs matched by a full bar with extensive wine and beer selections. Located in the heart of Vail Village, along Gore creek, Up the Creek is the ideal place for dinner for two or for the entire family. We offer a selection of reasonably priced appetizers, salads, pastas, fresh fish and daily specials. Recently remodeled, this night club is a great place for aprés ski. Located in West Vail, come and visit for American food and live music. Asian cuisine for body and soul on the go. Local Joe’s delivers pizza, subs and salads from 11am – 2am 7 days a week. Hands down we have the best pizza in the Vail Valley. Just ask the locals. Our restaurant features some of the best BBQ around. We learned from a pro. Our brother-in-law, Duane Felker – owner of Carson City BBQ out of Carson City NV, has lent us his fantastic recipes and style of delicious back country BBQ. Before or after enjoying the activities that Vail has to offer from skiing and snowboarding to mountain biking and hiking, come check out the Sandbar Sports Grill. The Sandbar is Vail’s hidden hot spot, located in West Vail off of exit 173. The Westside Cafe, located in Vail, Colorado, is a casual, breakfast, lunch and catering restaurant. Inspired by the everyday family cooking that we grew up with, you’ll feel at home while enjoying a great meal in our relaxed, western Colorado themed dining room. Vendetta’s – Featuring pizza by the slice, it has become the local hang-out for Vail’s ski patrollers. On Bridge Street. Bart & Yeti’s – Apres or evening, this is a down-to-earth tavern and long time fixture on the LionsHead Mall. Bully Ranch – Locally famous mudslides, burgers hit the spot in this low-key, western-style bar are after a day on the slopes. In the Sonnenalp Resort. Sarah’s Lounge – A Vail apres tradition, alpine style with the legendary Helmut Fricker. In the Christiania Lodge. The Red Lion – ‘The place to be after you ski.’ Get there early for a prized spot on the front deck or the traditional ski bar inside. Top of Bridge Street. The Club – Don’t miss local apres ski legend Steve Myers and his rollicking show for the party crowd. Top of Bridge Street. Pepi’s – For a more refined crowd, this is the apres-ski place for live music on the heated patio. On Bridge Street. Garfinkel’s – A huge deck for apres-ski an people watching at the base of the mountain. In LionsHead across from the Gondola. Tap Room – The ‘in’ place for locals enjoying apres ski while retelling powder tales. Top of Bridge Street. Bistro Fourteen at Eagle’s Nest – The perfect spot to stop and enjoy the views, a beverage and great food atop Vail Mountain before heading down into town. Top of the Gondola. Vendetta’s – The hang out for Vail’s ski patrollers, featuring pizza by the slice. On Bridge Street. The George – Intimate setting and downbeat nightlife in The Mountain Haus Lodge. On Bridge Street. The Bully Ranch – Be sure to sample a ‘mud-slide’ and enjoy the true Colorado Western cuisine and barbecue. In the Sonnenalp Resort. The Red Lion – ‘The place to be apres ski.’ Get there early for a prized spot on the front deck. Live acoustic music nightly. Top of Bridge Street. Pepi’s – For a more refined crowd, this is the apres-ski place to listen to live music on the heated deck. On Bridge Street. Sandbar Sports Grill – Casual local spot in West Vail, showcasing live music from touring bands. Late night menu. Garfinkel’s – A huge deck for apres-ski at the base of the mountain. Nightly specials throughout the week. In LionsHead across from Gondola. Tap Room – Apres-ski or late night, this is one hot spot. Dancing upstairs from the lounge. Top of Bridge Street. The Altitude Billiards and Sports Bar– A big sports bar with big screen TVs, billiards and video games. In the Evergreen Lodge. Sandbar – Great place to catch a show! Located in West Vail. A locals favorite. The Club – Vail’s most popular live, interactive, acoustic music shows for a young party crowd. Top of Bridge Street. Whiskey Jack’s– An entire room, just to get your groove on. On Bridge Street. An eclectic snowboard shop with a great selection of snowboards, boots, bindings, outerwear, lifestyle clothing, and accessories from Salomon, Ride, Burton, Thirty-Two, Bonfire, 686, Volcom, K2, Never Summer & more. Depend on Patagonia to keep you comfortable & committed to having the most fun in the elements. Choose from jackets, fleece, footwear, casual wear & alpine accessories. Outdoor clothing, casual wear, accessories & toys for young ones. A helpful staff will make sure your child has the right gear for their mountain adventure. A delightful selection of gift ideas. The newest & most complete selection of ski equipment, apparel & accessories. Arriesgado Clothing Company is a fashion forward boutique for men and women located in beautiful Vail, Colorado. We carry today’s hottest designer brands around like Free People, Virgins Saints and Angels, True Religion, Splendid, T-Bags, and Bugatchi Uomo. Avalon has a wide assortment of fine designer outerwear, apparel, and accessories. We feature exquisite collections of cashmere, leather and shearling clothing, European footwear, hand-tooled cowboy boots, one-of-a-kind belt buckles and other unique accessories. The largest supplier of outdoor clothing and outdoor equipment in Vail Valley, this store offers name brand products by Mountain Hardwear, Patagonia, North Face, and Eagle Creek. Bella Italia is the spot for the hottest fashions in Vail from dressy to casual, trendy to classic! Providing casual, lifestyle-driven clothing, accessories & related products. Offering outerwear, casual wear, footwear, watches & sunglasses. Womens contemporory clothing and accessories store with the best customer service and featuring desigeners such as BCBG, Tracy Reese, Trina Turk, Nicole Miller, Nanette Lapore, Yoana Baraschi and many more indipendant clothing lines. The Boot Lab is Vail’s original custom boot fitter. With over 30 years combined skiing and boot fitting experience, Dave and the staff of The Boot Lab are ready to assist you in making your Vail ski vacation your best ever. For all of your ski and gear rental needs. Locally owned and operated ski and snowboard gear shop. Come in and check out our gear! Specializing in women’s fashion, accessories and jewelry, Charm School Boutique has plenty of items to choose from. Outdoor equipment and sporting goods including ski and snowboard rentals, sales, and repairs. A wide variety of style and fashions for the everyday person. An exquisite fur and leather shop. De Corato is a boutique that offers a full collection of luxury men’s wear. Dennis Basso, one of America’s premier fashion designers developed his label into a multinational brand that signifies glamour. Located at the Four Season Resort Vail offering opulent furs, evening gowns, ready to wear in luxe fabrics, belts, and handbags in exotic materials. Our dedication to crafting the highest quality items has been our mission since the birth of this unique brand. Additional locations include New York, London, Aspen, Harbin City, and Moscow. Designer Furs offers a selection of fur coats and accessories. For over 20 years, Double Diamond has provided the highest quality ski and snowboard rentals. They are also a great source for telemark ski equipment and rentals. Everything from cocktail dresses to jeans can be found in this clothing shop in the heart of Vail Village. Fantasia Furs is owned by Hillis Akin, and Sue O’Leary Adams. Hillis was the largest furrier west of the Mississippi River. Voted #1 Fly Fishing Shop for 2009 by the Vail Daily with over 25 years of experience. Catering to all levels & abilities. Half/ Full day trips. The best equipment & gear available. FREE Daily casting clinics at 10:30am in summer. Fine luxury ski clothing, high-end apparel, ski wear and cashmere sweaters for the luxurious mountain lifestyle at Gorsuch. We are celebrating more than ten years in business, offering locals and visitors quality service and the best equipment available in the Vail Valley. There is a certified pedorthist on staff to accomodate all your boot fitting and foot bed needs and all of our staff are certified ski or snowboard instructors who can match your new or demo equipment to your specific ability. The first and only ski shop in the world devoted to women. Offering the best selection of women’s skis and boots for purchase or rental. Supplying cashmere and wool fabrics to the most discerning and demanding clients, the company has carved out a position as the world’s foremost cashmere manufacturer and the largest single buyer of the finest wools. Fashions found nowhere else in the United States can be found exclusively at Luca Bruno, and Luca Bruno Due. Fashions found nowhere else in the United States can be found exclusivly at Luca Bruno, and Luca Bruno Due. We’ve Revolutionized Cashmere. Our breakthrough technology transforms nature’s ultimate fiber for extraordinary new uses. Come by and experience our cashmere. Conveniently located on Bridge Street in the heart of Vail Village, Marmot offers high-performance outdoor clothing, apparel, and equipment. Mill Creek Sports located in Vail Village just steps from the Vista Bahn has been serving local and serious Vail skiers for over 20 years. Mill Creek Sports also offers ski lockers. Oilily – a desire to create clothing and accessories that captures the independent, creative spirit of females who have a love for tangible quality and contemporary, artisan fashion. Pepi and Sheika have brought you the greatest selection of quality skiwear and equipment for over 40 years. At Pepi Sports, you are invited to explore three floors of world class shopping located in the Heart of Vail Village. Owned and operated by Vail local’s J.P. and The General, since 1979, Performance Sports in Vail, CO remains a traditional ski shop. Providing casual, lifestyle-driven clothing, accessories & related products for young minded people. Offering outerwear, casual wear, footwear, watches & sunglasses from Quiksilver & Roxy. Roxy offers you the BEST possible customer service, selection, quality and fun with your wardrobe! Surefoot is now the world’s biggest and best ski boot specialty store. Instead of power tools and guesswork, they now use precise state-of-the-art technology to deliver the guaranteed best fitting, best performing boots possible. The most complete selection of North Face available. Specializing in fashionable & technical clothing systems. Best in jackets, fleece, thermal underwear, hiking boots, trail running shoes & packs. At Under Armour’s only mountain store you can find outerwear and base layers to keep you warm, dry and stylish. Our full-service repair shop technicians have decades of experience with all types of ski and snowboard repair. Also our certified boot specialists can assist you with any boot problem, featuring Superfeet Custom Footbeds. Vista Bahn Ski Rentals is one of the last owner-operated ski shops in Vail. As the closest ski shop to the Vista Bahn™ lift, you can ski right to our door! Wheel Base is located in the heart of LionsHead just steps from the Eagle Bahn Gondola. We have been doing business in the Vail Valley since 1992, providing the best in customer service, equipment, and pricing. We are owner-operated and understand what it takes to make your vacation a success. We have both front- and full-suspension Mountain Bikes, Road Bikes, Downhill and Freeride Bikes, Kids Bikes of all sizes, Child Carts, Hybrid and Comfort Bikes … just about every type of bike for your mountain vacation! Famous worldwide as North America’s top ski resort, Vail is an extraordinary vacation experience. Spanning seven miles are seven legendary Back Bowls, blanketed last year with 38 feet of powder snow. Under clear blue sky 300 days a year and with more groomed terrain than anywhere on the planet, families reconnect and celebrate at our Vail ski resort from year to year and generation to generation. From the Vail Ski and Snowboard School to activities and festivals, shops and spas, dining, nightlife and accommodations – with many new and luxuriously renovated – your Vail vacation will be a world-class experience. Compared to most other Colorado ski towns, Vail is a new creation: only a handful of farmers lived here before the resort opened in 1952. Built as a relatively unimaginative collection of Tyrolean-style chalets and concrete-block condos, at least the town is a compact and pedestrian-friendly place, albeit pockmarked by pricey fashion boutiques and often painfully pretentious restaurants. 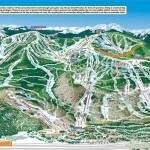 Vail Resorts, which operates the ski area at Vail, also owns an even more exclusive gated resort, Beaver Creek, eleven miles further west on I-70. Lift tickets between the two are interchangeable, which – given the exceptional quality of the snow, and the sheer size and variety of terrain available – produces a formidable winter sport destination. Vail Colorado is Situated high in the Rocky Mountains of Colorado and is conveniently located just off of Interstate 70. Vail was founded as a ski resort in 1962, but before Vail became the world famous ski area it is today, it had a long pioneer history. Before the arrival of the first white fur trappers in the area, Vail was the summer hunting grounds of the Ute Indians. Hunting and trapping abound in the region. This is what attracted the first Europeans. Irishman George Gore and American frontiersman Jim Bridger were among the first explorers and trappers to venture into the mountainous region around what is now Vail Colorado. They spent the summers hunting and exploring the peaks northeast Vail and Jim Bridger later named this mountain range and valley the Gore Range after his friend. By the 1870s, the Gore Range was attracting miners and fortune seekers because of the gold and silver that had been found there. Mines were dug and a railroad system was developed to transport the precious metals. The local miners and railroad men drove the Ute Indians from the area. The Utes allegedly set fire to thousands of acres of trees in revenge. This resulted in the deforested area which today is known as Vail’s famous Back Bowls. Before too long, the miners in the Vail Colorado area depleted the gold, silver and other mineral resources. They soon abandoned the valley. The Vail region remained a tranquil home for sheep ranchers and other pioneers until 1939, when road construction began on Highway 6, which runs from Denver through the Gore Valley. Charlie Vail was the project’s engineer for the segment of the highway over the mountain pass. He lent his name to the road and soon the pass was named “the Vail Pass” Eventually to the Town of Vail took on his name too. With the completion of the highway, more people had access to the Vail area. It was during World War II that the Army’s Tenth Mountain Division used the Vail area for backcountry survival training. The Vail region was perfect for the type of training they needed and this beautiful, mountainous area left a lasting impression on the soldiers that trained at Vail. After the war, many of the men who trained at Vail Colorado were drawn back to the mountain valleys. Pete Seibert, one of Vail’s founding fathers, was one such veteran. Pete returned to the Valley along with fellow troopers Bill “Sarge” Brown and Bob Parker. These three WWII vets shared a great vision of developing a mountain ski community. Soon, Earl Eaton, a uranium prospector with a like vision, teamed up with Seibert to draw up a plan for a ski resort. 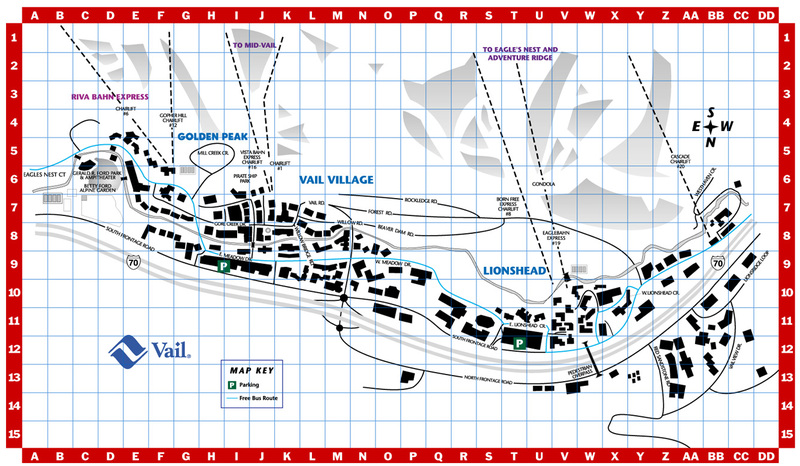 In 1954, the vision for the Vail ski community began to take shape. 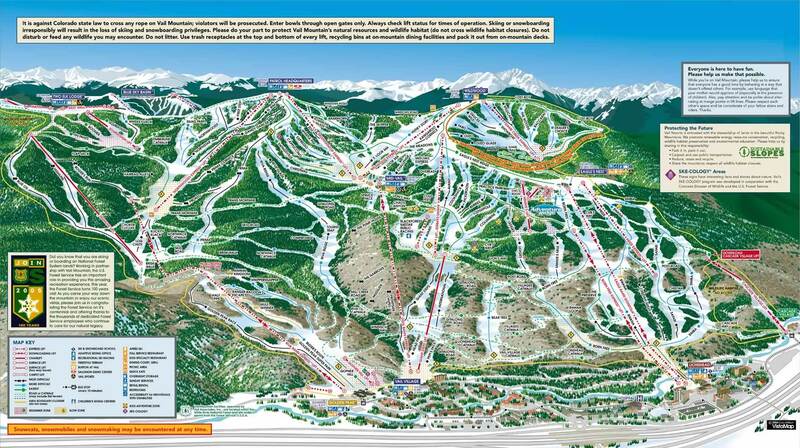 Construction on the ski resort began in spring 1962, and by fall 1966, the town of Vail Colorado was incorporated. Vail ski resort had the first gondola in the United States, along with two double chairlifts, and a beginner poma lift, serving six square miles of mountainous ski terrain. Several restaurants, hotels and a medical clinic opened their doors soon thereafter. Vail was on its way to becoming the resort area that we know today. By the mid-1970s, skiers and the novo-rich had discovered Vail. Vail had now its earned the reputation as one of Colorado’s best ski areas. When Gerald Ford became President of the United States in 1974, the ski town of Vail Colorado made front-page news. Gerald Ford owned a home in Vail and loved to ski and golf here. He had many news clips (nation wide), where he and his family were doing both activities. Vail was soon recognized worldwide as the Colorado ski resort of the president. Visitors began to flock to the area for its skiing in winter and golf in the summer. During the early 1980s, the area blossomed into a year-round resort. Golf courses were developed (as President Ford popularized them at Vail), and mountain-biking trails were also added. Vail ski resort gondolas began transporting sightseers instead of skiers. Other attractions such as hot-air balloon rallies, tennis tournaments and concerts featuring everything from chamber music to rock became part of the Vail summer scene. Vail Colorado has had a rich history. From its simple, pastoral beginnings to the hustle and bustle of one of the best recreational areas in North America. Vail has grown and matured. Today it is one of the great vacation spots in the world.